Simone Mishler is a senior associate on the FasterCures communications team, focusing on marketing and program communications. Her work includes producing Webinars, managing the blog and sharing FasterCures’ impact with stakeholders. Mishler combines her entrepreneurial spirit with a background in writing and project management. FasterCures’ Patients Count program is committed to expanding opportunities for patient needs to inform medical research, medical product development, and the delivery of healthcare services. Engaging patients in research is more than a goodwill gesture – it can make research better. In February 2016, FasterCures hosted a workshop to explore current challenges and opportunities in establishing a science of patient input. During the meeting, several stakeholders highlighted how they are working to make patient engagement a priority, as presented in the FasterCures report, “Expanding the Science of Patient Input: Pain Points and Potential.” This is one in a series of case studies from that report, including an update on more recent activities. Alkermes, a biopharmaceutical company focused on developing innovative medicines to help patients living with serious mental health conditions, understands that patient and caregiver perspectives are essential to its mission. Historically, mental health advocacy organizations have concentrated their efforts on patient support, rather than research. Nikki Levy, Alkermes’ Vice President of Patient Engagement, recognizes that delivering on the potential benefits of patient engagement to better address unmet medical needs requires new approaches by all stakeholders. “People with the conditions our company seeks to treat can feel very isolated, making it extremely hard to identify and engage patients and their families in our research. 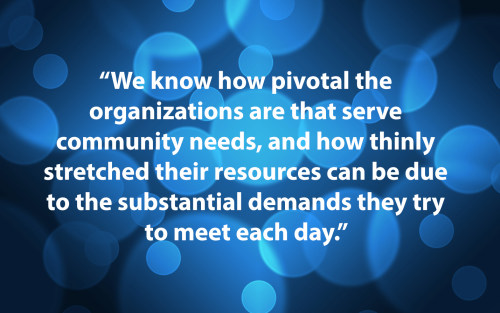 We know how pivotal the organizations are that serve community needs, and how thinly stretched their resources can be due to the substantial demands they try to meet each day. Our commitment to patient engagement starts at the top with our CEO, Richard Pops, and we’re ready to meet the challenge ahead of us,” said Levy. In March 2016, Alkermes hosted a day-long advisory board summit with several patient advocacy organization representatives. Levy’s team structured the agenda to build multiple connection points between company staff and trusted community leaders. The summit featured scientific and medical presentations to convey how Alkermes was approaching the biology of the conditions for which it is developing products. Breakout advisory board sessions with patient advocates and company staff allowed for wide-ranging discussions about the everyday challenges patients and families face that compound medical issues and access to care. Mealtimes and breaks enabled informal conversations to extend dialogue and allow time for personal relationships to form. Levy reports that it was a day in which Alkermes leaders from every function in the company listened and learned, gaining insights on how they can better support patients and improve the treatments they have in the lab and in the clinic. In the months following the summit, Alkermes developed a competitive grant program titled the ALKERMES Inspiration Grants™ Program to help build the capacity of patient organizations to engage more fully in supporting the communities they serve. The program was launched on September 12, 2016 with a funding commitment of up to $1 million. The program invites applications to support innovative programs in two categories: improving or enhancing systems of care and integrating the perspectives of people affected by mental health conditions or substance use disorders into drug development or care delivery. Grant proposals will be reviewed by a team including four Alkermes employees and four external reviewers who represent different facets of the patient community. These reviewers include an individual in recovery who now serves as an advocate for others living with substance use disorders, a caregiver for someone living with a mental health condition, a retired member of the criminal justice system, and FasterCures’ managing director Kim McCleary, representing the broader advocacy community. For Alkermes, there is widespread agreement that patient engagement is the right thing to do. The task now is to incorporate the best patient engagement strategies into their daily work. Levy believes that the information gathered through the summit, the proposals submitted to the Alkermes Inspiration Grants program, and ultimately the projects awarded funding will help guide the company and the community toward even more productive partnership. “It’s exciting to see how these early steps have already shifted our thinking and action. The real promise is yet to come,” she stated confidently. Applications for the competitive awards are due to Alkermes by October 7, 2016. Funding decisions will be announced before year-end.